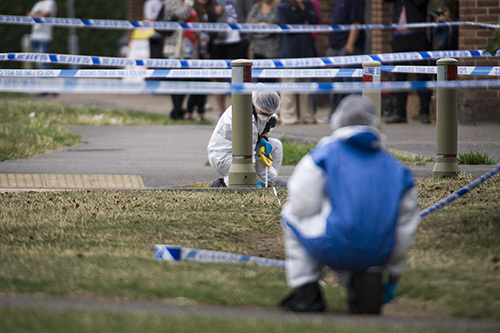 Heard on the grapevine that there was an ongoing Police incident at Cedar Way on the Bellfields estate, kit was launched into the boot of the car and away we go, by the time that I turn up the scene was being searched by the forensics teams from Surrey Police. Lots of rumours and speculation about who the victim was/wasn’t had/had not done. Anyway, pictures filed.